Design in Japan, SINGTRONIC KA-1000DSP is known for its quality and durability. This professional mixing amplifier was built to sustain continuous usage at maximum wattage output. It is a perfect companion for DJs and KJs who are seeking for a reliable component that will carry them throughout the long night without the nightmare of equipment failure. It�s also highly functional with 3 microphone 1/4" inputs right in Front Panel, with individual microphone volume controls and separate line and master volume controls. Microphone Echo Controls, which include Volume, High, Low, Delay and Repeat, will help you create just the right mix to set the mood for any performance or venue. 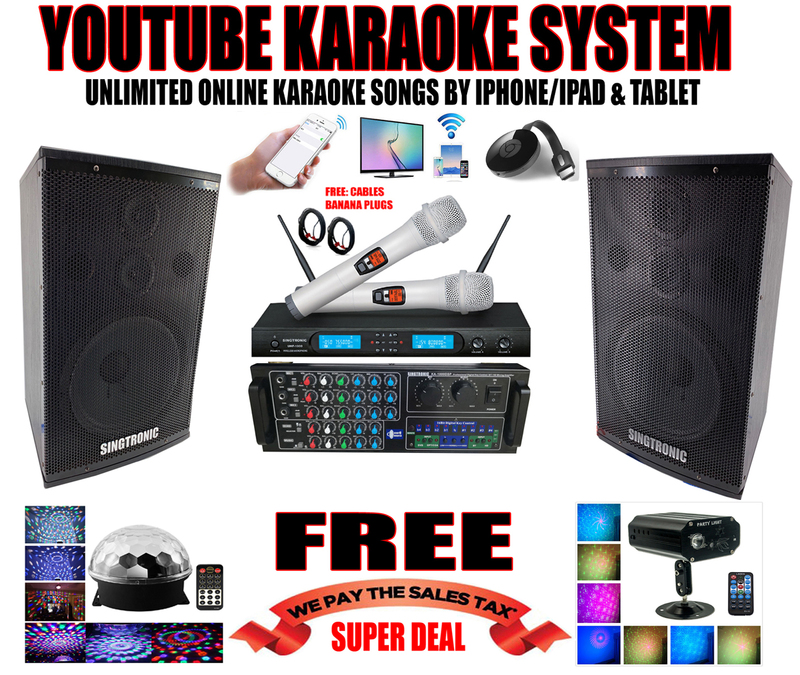 Newest Model: 2019's SINGTRONIC KS-1000, the best known named in professional karaoke 2000W Vocalist (1000W + 1000W) Speaker around the world with unprecedented sound quality and power. The exceptional quality and smoothness of sound over the entire audible range ensure unprecedented excitement. Once you have sung with these speakers, you will never be satisfied with anything less. The clubs and bars that use these speakers will enjoy an excellent reputation among their customers. We have every confidence in the outstanding sound quality of these speakers.